This little sweety, often referred to as “Wild Boar Park Hill”, is a taster climb really. If you care to look back over your shoulder as you go over the top you’ll get lovely views of the Bowland badlands behind you. Be sure to take note of all the high points, because during the following hours you’ll be razzing up each and every one of them. At just over a mile long, it’ll give you an idea of the torment to come. There are two approaches: A fast and frantic freak boy rush of calf churning adrenaline or a sly, slow spin up in the granny ring. Either way you might care to keep your mind occupied by once again thinking through your intricately-constructed nutritional plan for the remainder of the ride. Now, am I on my 3rd or 30th gel………or how many Ginsters death slices can be divided into 166 miles? 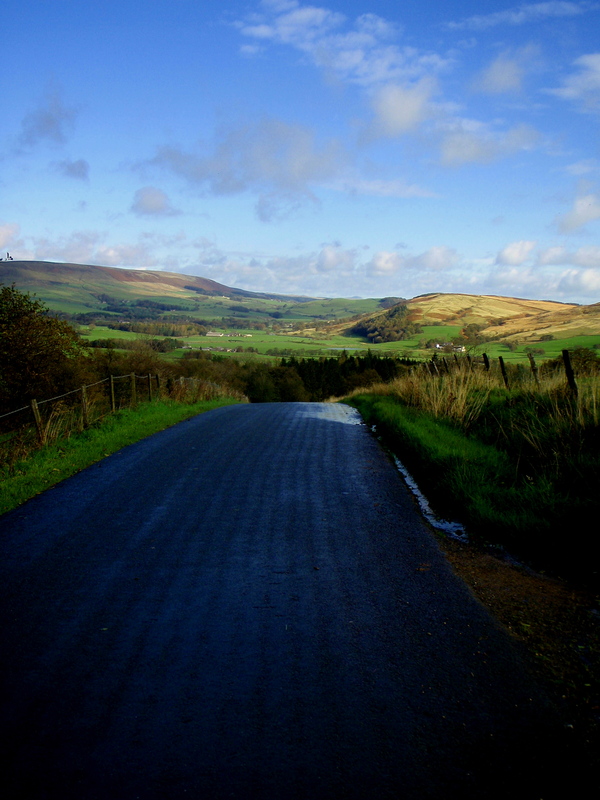 Stravasaddoinfopoint: This climb is mainly called Hall Hill on Strava, which is confusing because there is also a Hall Hill just round the corner heading up out of Whitewell. Therefore, we’ll stick with Long Knotts, and the Professor has made a segment just for you called Long Knotts Riser (http://app.strava.com/segments/2748973). The climb sees heavy two-wheeled traffic over the summer as it’s a favourite cut through for Prestonites heading home after a day of leg mauling in the badlands. Posted on February 5, 2013, in Bowland Badass Climbs and tagged Bowland Badass, Hall Hill, Long Knotts, Strava. Bookmark the permalink. 1 Comment.